Do it بالعربي opened in the presence of the HE Aqil Biltaji, Mayor of Greater Amman, HRH Princess Wijdan Al Ali and Sheikha Hoor Al Qasimi and students from the Faculty of Arts, University of Jordan. Many of the instructions had been realised over the summer through workshops and collaborations with artists, architects and students. The exhibition spanned over all of Darat Al Funun’s venues, where tours were on offer allowing visitors to realise the works independently or in groups. The opening was bustling with students, families and organisations of all ages who enjoyed activating the instructions. 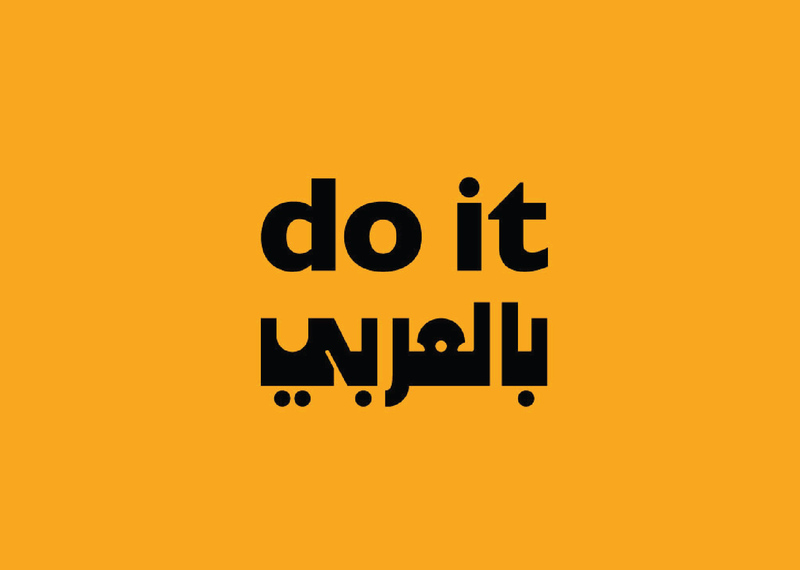 In the evening, the newly published Do it بالعربي was launched along with an activation of Basel Abbas and Ruanne Abou-Rahme’s Instruction Manual and Script for a Series of Dead Ends (2015), by Hala Budair. The exhibition continues until January 2017 with Open Days every Saturday focusing on specific artists and their themes. Co-curated by Sharjah Art Foundation Director Hoor Al Qasimi and Serpentine Gallery Artistic Director Hans Ulrich Obrist, do it بالعربي is a new iteration of the ongoing do it publication and exhibition project originally founded and curated by Obrist in 1993. For more information, please visit Darat Al Funun's website here. Video from Darat Al Funun. Filmed and edited by Mohammad Zakaria.